Oblivion page for the FPS Counter software, adds antialiasing, color correction, SRBAO 2.0 ambient occlusion, depth of field, sharpen, and realtime audio/video recording, the options can be controlled from inside the game. This software is Ad Supported and it will show ads inside its own configuration menu when it's opened. 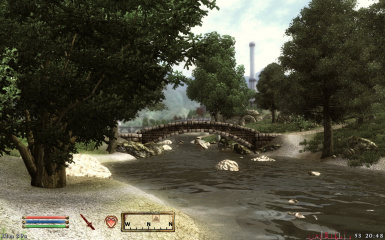 Oblivion page for the FPS Counter software, adds antialiasing, color correction, SRBAO 2.0 ambient occlusion, depth of field, sharpen, and realtime audio/video recording, the options can be controlled from inside the game. Although this is a OBSE plugin, you can use this mod without OBSE if you use the NSIS installer. Hides the Windows cursor, useful in windowed mode. Adds Far Depth of Field.